Danang International Marathon 2018, sponsored by Manulife was a great blast on the morning of 12/08 at Bien Dong Park, Danang city. 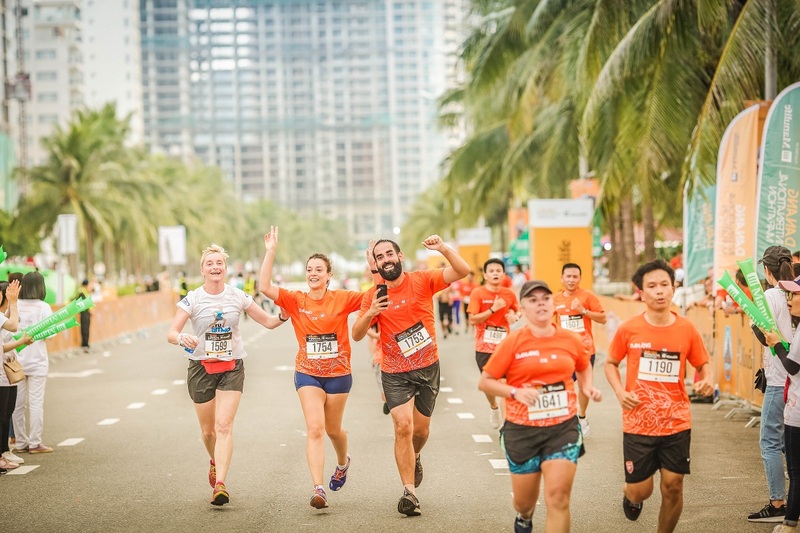 At Danang International Marathon 2018, the atheletes were competing at 42km, 21km and 10km, with a fun public run of 5km. 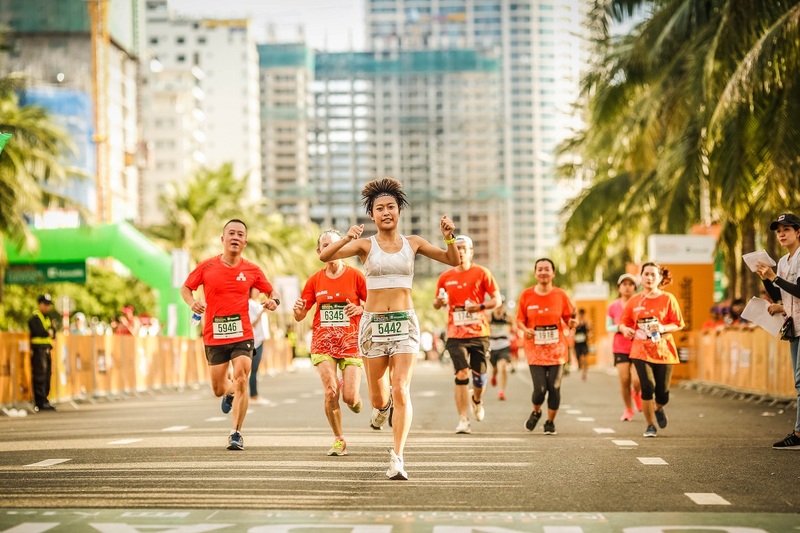 This is the 6th time the event is organized in Danang, a professional sports event that attract the participation of many runners in the world. 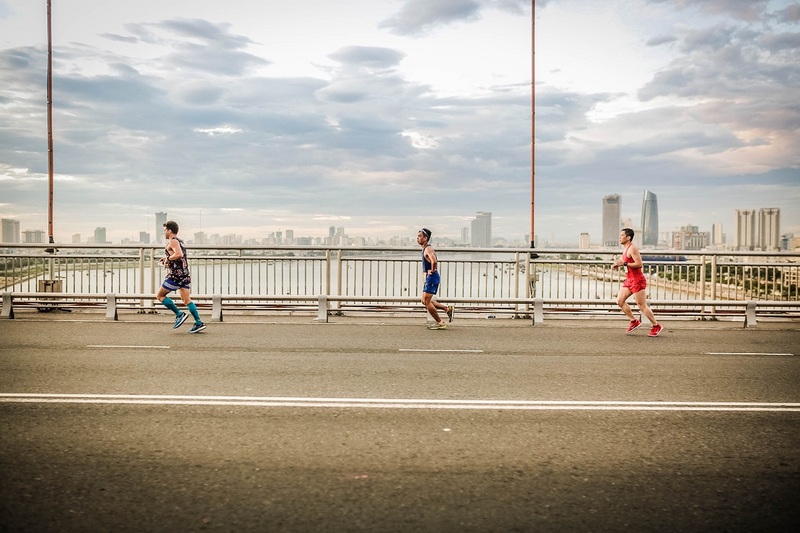 Danang International Marathon is known for its impressive track. Starting even before the dawn (4.30am) til when sun was shining all over the streets, the athletes had an chance to experience a completely new perspective of the track. 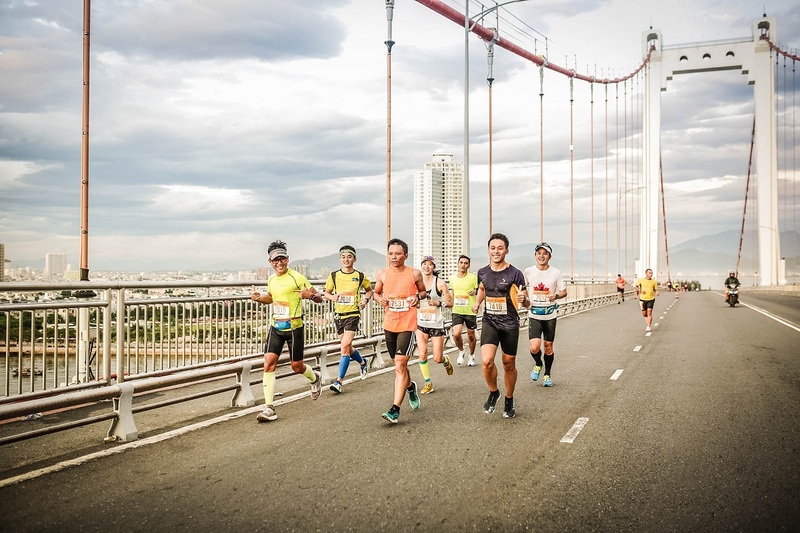 Especially with the runners participating in 21km or 42km tracks, passing by the two famous bridges of Danang: Tran Thi Ly and Thuan Phuoc. Coming closer to the finish line, the track was getting sun-kissed with the beauty of dawn on the beach. This track is very popular to runners, not only for its beautiful landscapes, but also for the experience for each runner, overcoming their limits. To prepare for the event and support the runners, the organizing board arranged many water stops and encouraged participants. Organizing board arranged automatic water fountains for runners to cool down at certain locations on the track. Especially, at DNIM 2018, the champion of Shonan Marathon (Japan) Suzaki Yuuya (with a record of 2hours 25 mins and 39 seconds) were also invited to participate. The winner for full marathon (42 km), with total time 2 hours 32 minutes and 16 seconds is the champion of Shonan Marathon, Suzaki Yuuya. Third place is a Vietnamese athlete, Huynh Tan Tien with total 2 hours 57 minutes and 03 seconds. On the 42-track for female, Pham Thi Hong Le from Vietnam excellently finished the line first with total time 3 hours 04 minutes 04 seconds. Second in line was also a Vietnamese athlete, Nguyen Linh Chi (3 hours 29 minutes 19 seconds), while French athlete Torres Marion came third place (3 hours, 29 minutes and 23 seconds). For the half-marathon (21km), the winner was Japanese runner Hiroki Nakajima with total time 1 hour 24 minutes 44 seconds. Second and third place were Vietnamese athletes Nguyen Dang Khoa (1 hour 32 minutes and 02 seconds) and Doan Ngoc Hoang (1 hour 44 minutes 12 seconds). 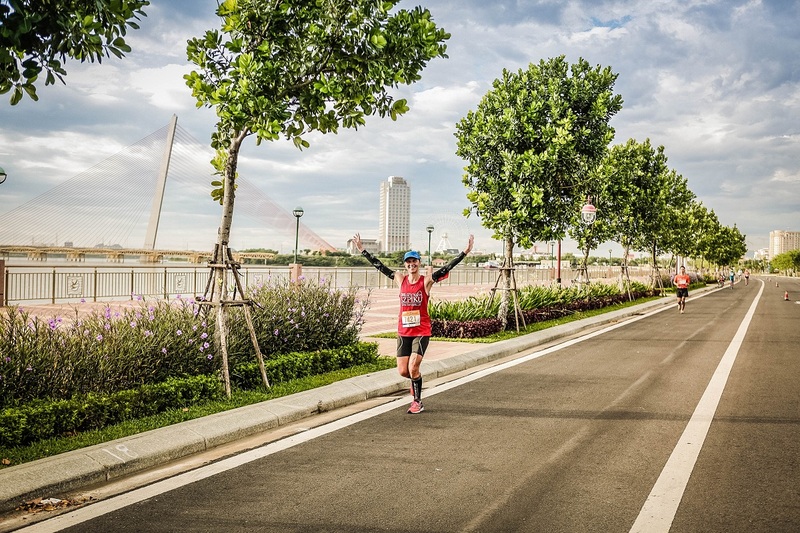 On 21-km track for female, with the result of 1 hour 13 minutes and 05 seconds, Lo Thi Thanh reached the finish line first. Second place is Japanese runner Tomimi Nakajima (1 hour 17 minutes 40 seconds) and third place is Vietnamese Nguyen Thuy Phuong (1 hour 21 minutes 20 seconds). For the 10 km track, the first two places belong to Vietnamese runners Le Dinh Tuan (37 minutes 11 seconds) and Nguyen Thi Huong (39 minutes 22 seconds). Wah-shing Tan, 61-year-old athlete from Malaysia. His story was famous not for his age, but rather that he was running barefoot in total 148 marathon tracks all over the world, from the biggest one in USA, France, Tokyo and last weekend in Danang.You can see that he is wearing his legendary pijama to conquer the 42km! 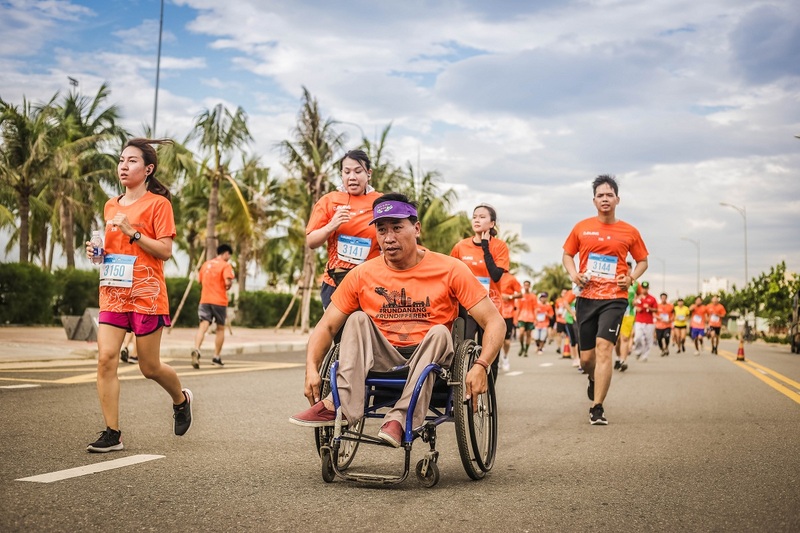 This year, the event has raised successfully 10,000 USD and more than 37 million dongs for charity, which will be given to charity foundations and individuals with special conditions in Danang. 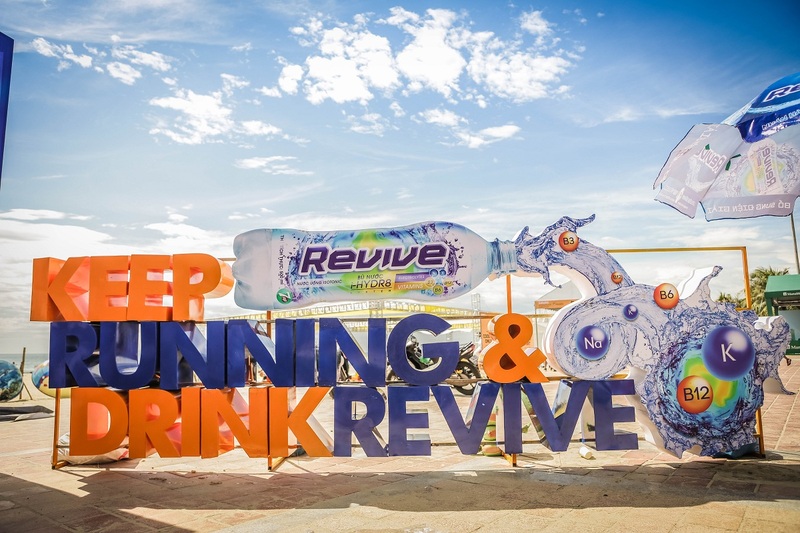 After 5 years of organization from 2013, Danang International Marathon attracts almost 30,000 participants from all over the world and gains certain reputation in South East Asia. 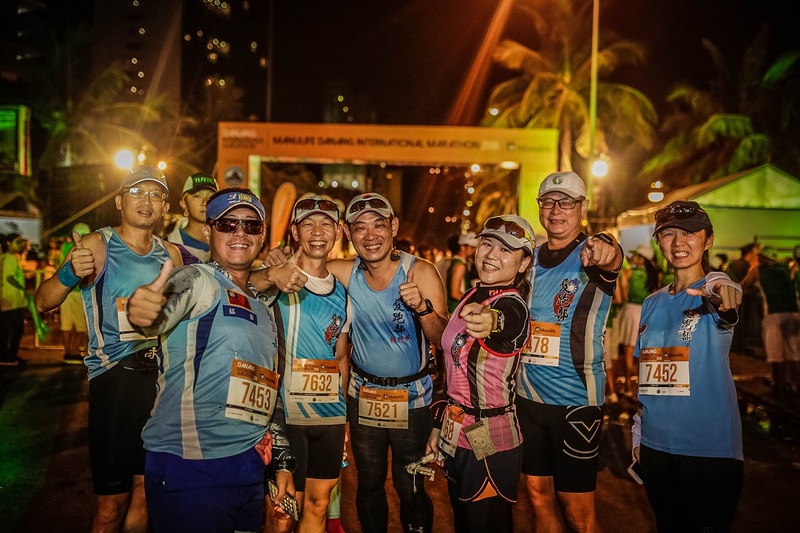 Pullman Danang Beach Resort representatives were eager to participate on the 5km and 21km tracks. 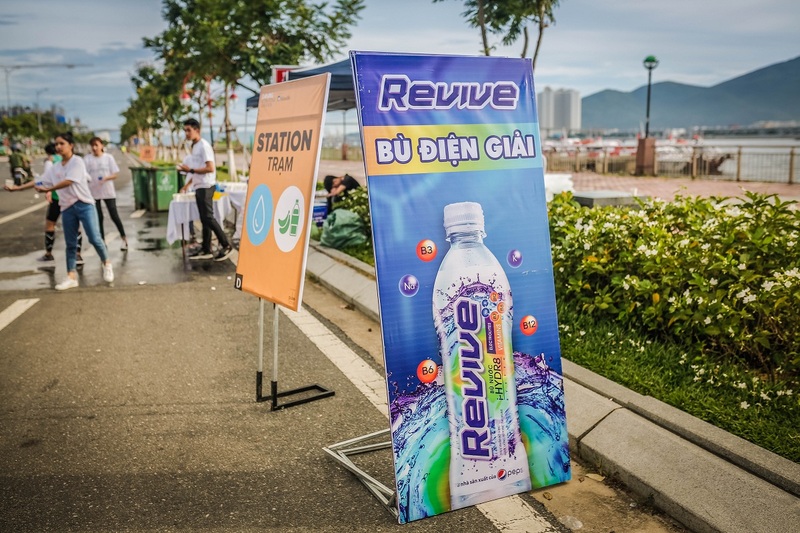 In addition, the event has also received a lot of support and sponsorships to help charity and social organizations, children from poor families in Danang. 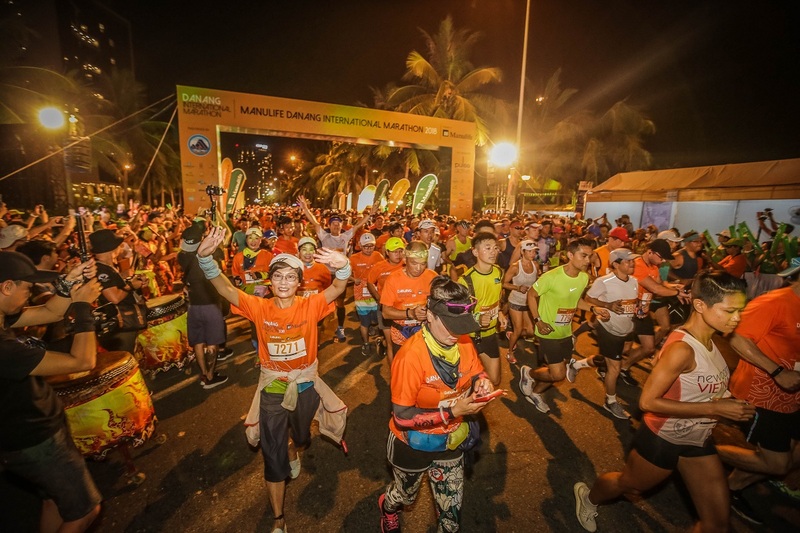 With the message “Because I love Danang”, the marathon 2018 has contributed to creating a friendly image of Danang to friends worldwide.